Segafredo Zanetti Australia brings to your home more than 75 years of Espresso making experience. Now waiting for you to play your part. Immutable beauty blending modernity and tradition, elegant and distinctive lines that were designed to outlive fads and trends. An inspired combination of materials gives the product a strong, solid appearance: fingerprint-proof brushed steel front panel, beautiful chromed metal painted frame and brewing head, matt black coating on the sides. Gaggia Anima offers you all the secrets of a professional Barista in just one touch. Thanks to the simple and intuitive programming menu, you can customise the drinks selections available according with your personal preferences: the amount of the coffee ground per each Espresso, the temperature of your coffee, the length of the coffee and/or milk, pre-infusion option. 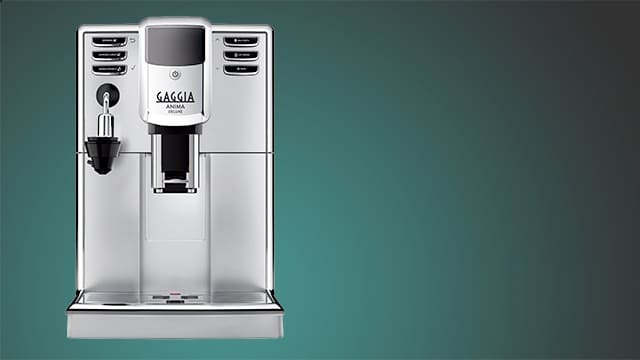 The Gaggia Anima is just like having your own professional barista at home. Each separate element of this fully automatic coffee machine can be removed and washed. The coffee machine has automatic washing cycle, when starting up or turning off. After every use your milk carafe is cleaned with the unique auto-clean system, which you can activate at one touch as you want. Visit our shop online to learn more about product features and technical specifications.